Harding County is located in the extreme northwestern corner of South Dakota. The county seat, Buffalo, is named after the thousands of buffalo that once roamed the country and provided meat and clothing for the people of the Lakota Sioux Indian Nation when the early first European settlers came into the area. Tepee rings and arrow heads from their buffalo hunting camps can still be found near the Jump Off area where the Lakota Nation braves ran the large buffalo herds over ledges and straight down into the gumbo breaks to kill them for meat and hides. 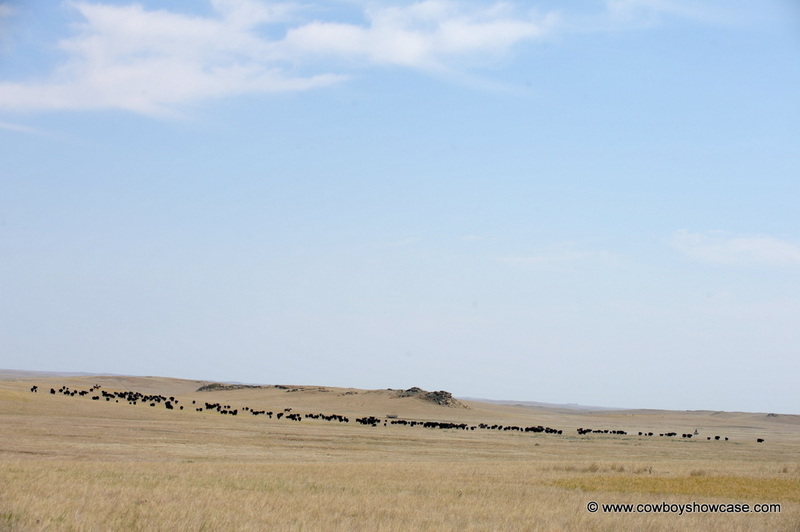 Miles of grassland stretch as far as the eye can see with occasional gumbo mud buttes rising above the sea of grass. The soil is sandy, growing a mixture of native buffalo, grama, prairie sand grass, and green needle grass. Years ago, when the early settlers arrived in Harding County they learned the hard way that the sandy part of this grassland should not be plowed to raise planted crops. The soil was too light and wind would blow away the top soil. 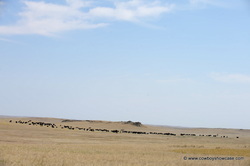 This fact saved most of the native grasslands for livestock grazing by both cattle and sheep. 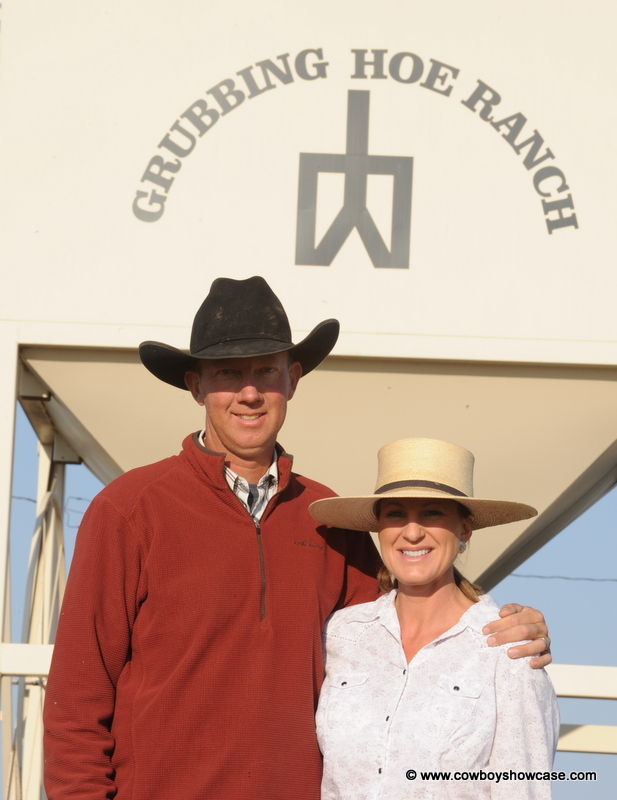 Ty and Melissa Fowler run the day-to-day operation of the Grubbing Hoe Ranch. The Grubbing Hoe brand has been used since 1885, on livestock owned by this family, making it one of the oldest brands still used today in Harding County. They endured a lot of hard times but have persevered on the land near where the present Grubbing Hoe Ranch Headquarters is located. They raised and sold remount horses to the military for cavalry use. In the 1940s, the ranch ran mostly sheep with some cattle. In 1976, the Grubbing Hoe Ranch was incorporated, by 1996, the sheep were sold, and the ranch went to all cattle. Today’s ranch is mostly in Harding County with a second ranch near Hoover in adjacent Butte County. 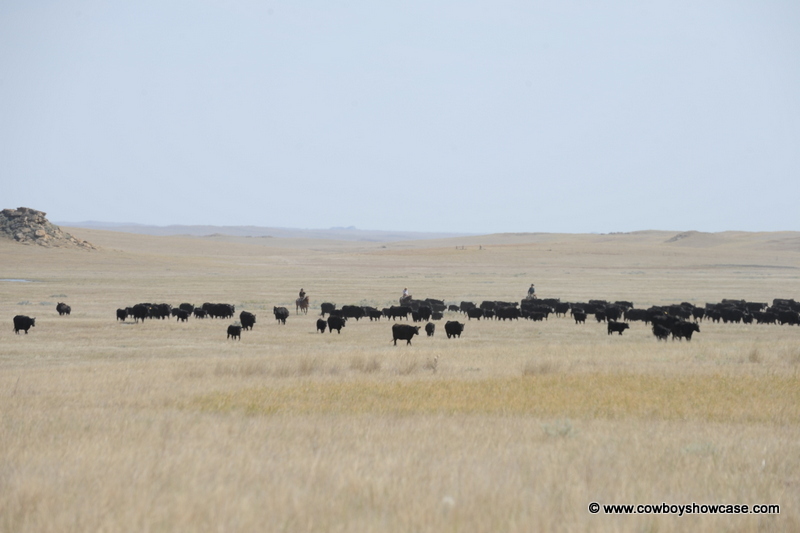 Ty and Melissa buy their Calving-Ease Black Angus replacement bulls each year from a couple outside sources. 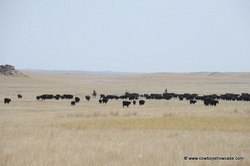 They use a ratio of one bull to 35 cows and normally get four or five years of use out of a bull if the bulls are not injured fighting other bulls. The cattle that the Grubbing Hoe Ranch has developed produce a desirable carcass yield at slaughter. The ranch sells their calves in truck load lots on the Western Video Auction. 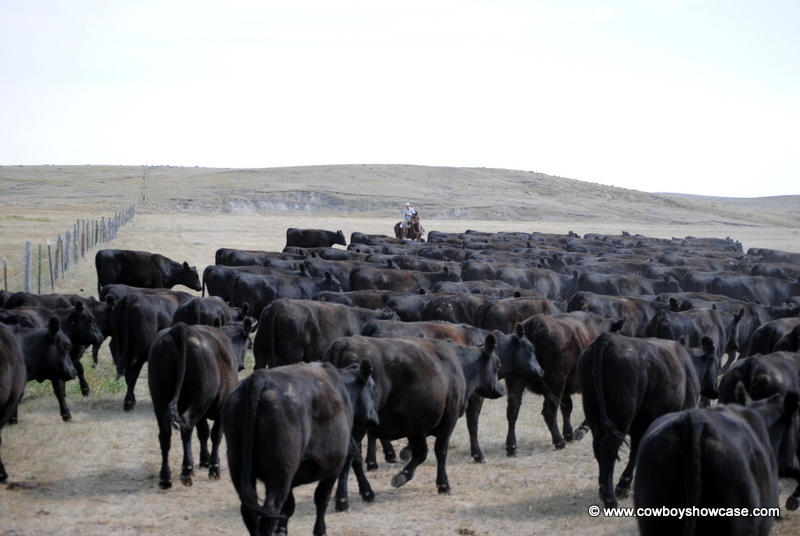 Other calves, open cows, open heifers and older bulls are sold at the Auction Yard in Belle Fourche. The Grubbing Hoe outfit is a horseback outfit. 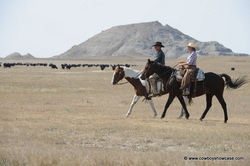 There is a real need for saddle horses to move cattle, brand, doctor, etc. Melissa Fowler has her own horse program on the ranch that she calls Heart Open A Ranch Geldings with her own horse brand. 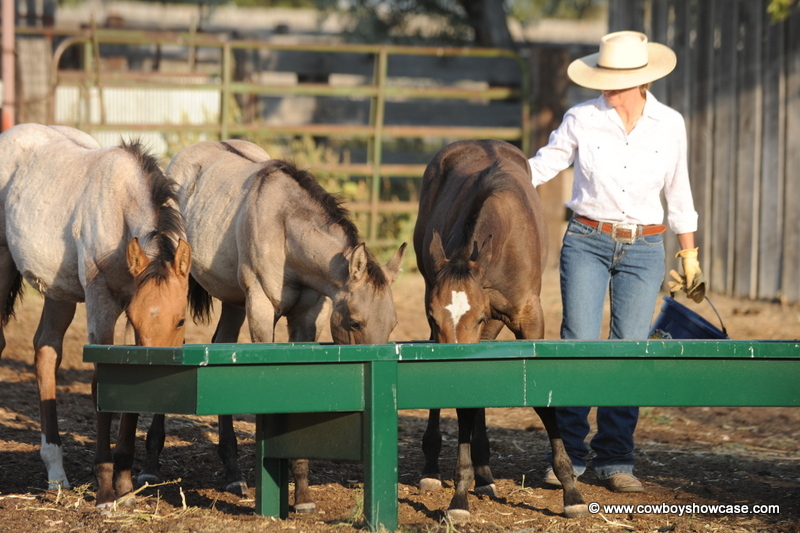 Melissa buys weanling colts from two Foundation quarter horse breeders, Betty Lynn- Lynn’s Quarter Horses, Corvallis, Montana and Sharon Herron, Gumbo Quarter Horses, Union Center, South Dakota. Melissa also sells broke horses to outside buyers. 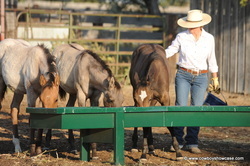 Melissa purchases colts after they are weaned from the mare. They are basically untouched by humans until she starts them on her program. Ty says, “One of the main reasons Melissa’s horses end up so well broke, anyone-can-ride-them type of horses, is that she does a lot of ground work with them before they are ever saddled. “ Once these horses are gentled and saddled, they are ridden outside on cattle. Miles of “wet saddle” blankets make for a solid horse. 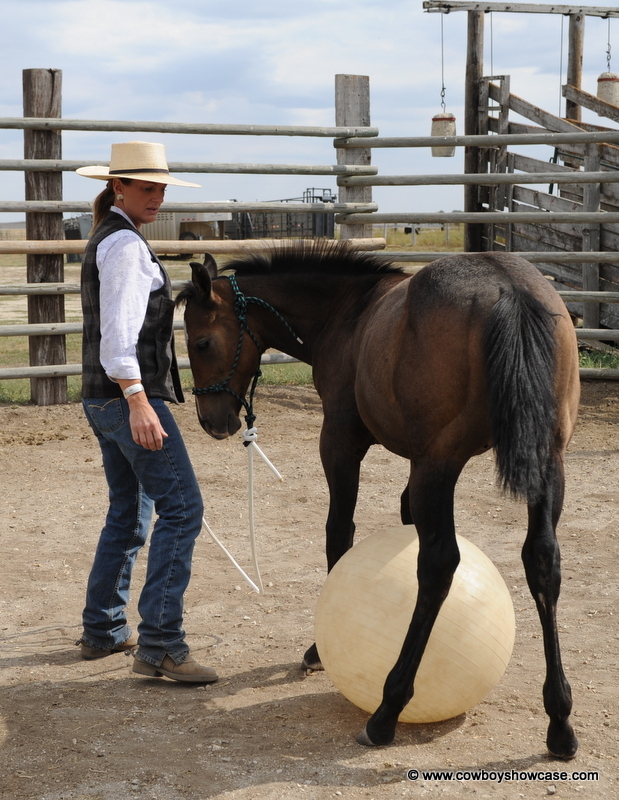 Melissa explained, “My colt starting program begins when I buy colts that are 4 – 8 months old. I only buy stud colts and we castrate them here at the ranch after they reach one year old. The main reason I go back time after time to these two quarter horse breeders, is that their horses have a good mind, are people horses ,and are very easy to start. 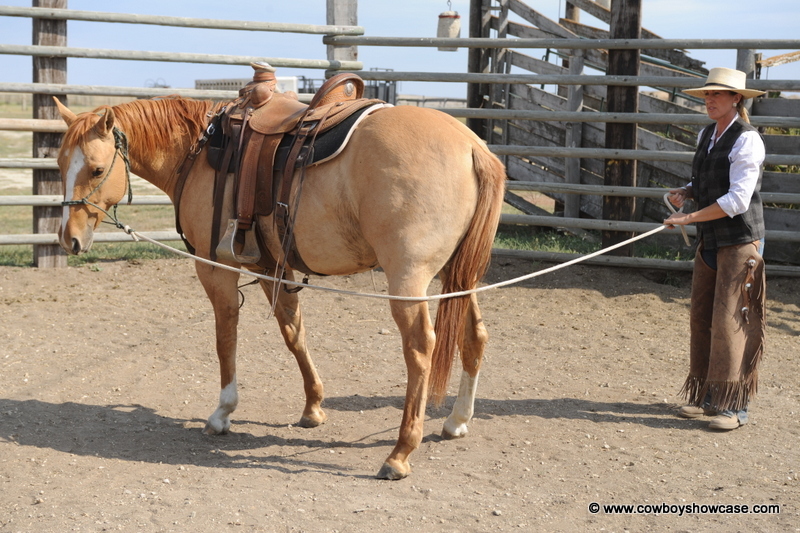 “As soon as I get a colt, I put a halter on them and began teaching them how to lead and to follow me. 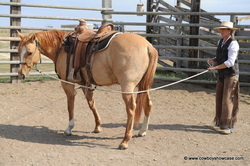 If they are hard to catch, I rope them in the round pen and get a halter on them. The quicker they learn that I am not going to chase them around trying to halter them the better. I want a colt to ‘face up’ to me when I come into the corral. I don’t want to have these colts consider me a threat. This is very important because they soon learn that I am the dominant one in this human/horse relationship, a leader and friend, not a predator that is trying to kill them. We were moving some cow/calf pairs into another pasture and Ty spotted a calf with its ears down – sure sign this calf needed some medicine. Ty took his rope down and roped the calf out of herd going down the fence. I rode in and picked up the heels. 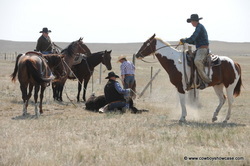 Ty got off his horse and gave the calf a shot of combiotic while I held the heels. He looked at me and laughed, “I am not a professional; I just do this for a living.” Ty is much more than a pasture roper. He is a professional cowman and the Grubbing Hoe Outfit has stood the test of time because of people like Ty and Melissa Fowler and the Fowler family before them respecting tradition, their neighbors, and the land.